At Westlake Auto Collision we are proud to offer 24 hour towing and transpostation for our customers convenience . 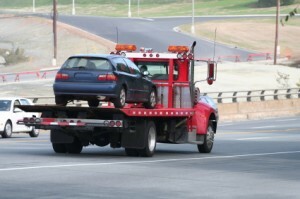 Our 24 hour towing service is available for your convenience, expediting the entire claims & repair process. Your vehicle will be towed directly to our facility to start evaluation of damages and claims report. Our in house shuttle service is available for a convenient way to transport you for easy drop off and pick up of your vehicle, eliminating you from having to burden others and their busy schedules.